The My+ mobile sampling application makes life easier for laboratory nurses on their rounds at the Central Hospital of Satakunta in western Finland. Printing test tube labels at POC reduces the margin for error. Previously, the night nurse had printed labels for samples twice during the night and a third time just before the morning round. There were many label stickers and it was a challenge to keep track of the sampling needs for each room. One night nurse had to be allocated to distribute tasks for the laboratory nurses. User feedback on My+ mobile sampling application has been positive: the application speeds up work, makes the laboratory nurses’ tasks easier, time stamps have become more accurate and there is less risk of error. Now laboratory nurses plan the sampling order on their wards. Test requests are checked from the mobile app and labels are printed at points of care. At the beginning of September, Mylab’s mobile My+ app started to be used at the regional laboratory of NordLab in Oulu for test requests made outside normal rounds. Mobile app for urgent sampling decreases the need to call the laboratory, to walk back and forth and shortens the time to acknowledge completion of test requests. My+ mobile app was successfully introduced in Oulu. The mobile app laboratory enables nurses to receive new test requests on their ward rounds, without the need for a separate phone call. As a result, time stamps of acknowledgements will also become more accurate. The mobile app has already made task management easier at the laboratory. From the mobile app, the laboratory nurse in charge sees at a glance the number of remaining urgent requests. Laboratory nurses find it useful that additional requests are coordinated outside regular sampling rounds. The Home Care unit of Oulu piloted Mylab’s mobile laboratory sampling service for two months within Myllyoja district home care services. Home Care Nurses were given mobile phones with Mylab’s mobile laboratory sampling software and mobile label printers. Users liked the system and it made their work so much easier that they wanted to keep using it. In addition, there were no technical problems and no major usability issues. The volume of laboratory samples in home care is minor but the tests are very significant for monitoring long-term illnesses. Samples are mainly taken from patients who receive exclusively home care. In the testing it was possible to utilize INR test referrals to monitor individuals treated with blood-thinning medication. Unlike in the current system, blood samples were taken with a microINR at the customers’ homes. In the current systems, home care nurses need to return to the care unit to create a test request and to print labels before then returning to the customer to take the samples. The mobile sampling system was tested in co-operation with OuluHealth Labs, a specialist in development and testing of health care technology. It was a great opportunity for Mylab to pilot the system out in an actual customer environment and the results can be shared with laboratories that are planning to expand their mobile sampling systems. Mylab’s mobile sampling system was launched in 2014 and it is currently being used by HUSLAB, TYKSLAB, ISLAB and SataDiag laboratory enterprises. They are all planning to expand their systems to include mobile use, for example, in home care and to operate mobile sampling posts with weekly sampling in sparsely populated areas. 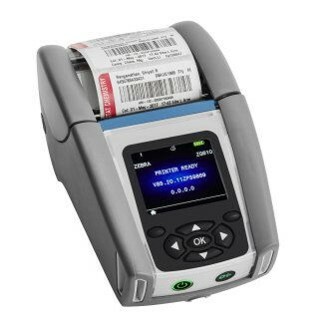 From Optiscan you get barcode readers, printers, mobile computers and printing materials. Labels have been tested by market leaders in laboratory conditions and they are widely used by our customers. Below you can see most suitable device solutions for mobile sampling. We will help you to find the best possible printing solution. 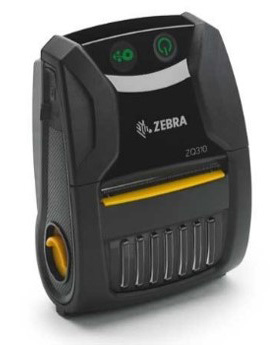 Zebra ZQ610 Healthcare - new! Zebra ZQ310 - "Mini Zebra"